Together with the BNNVARA team we build a mobile app based on our Zender platform. 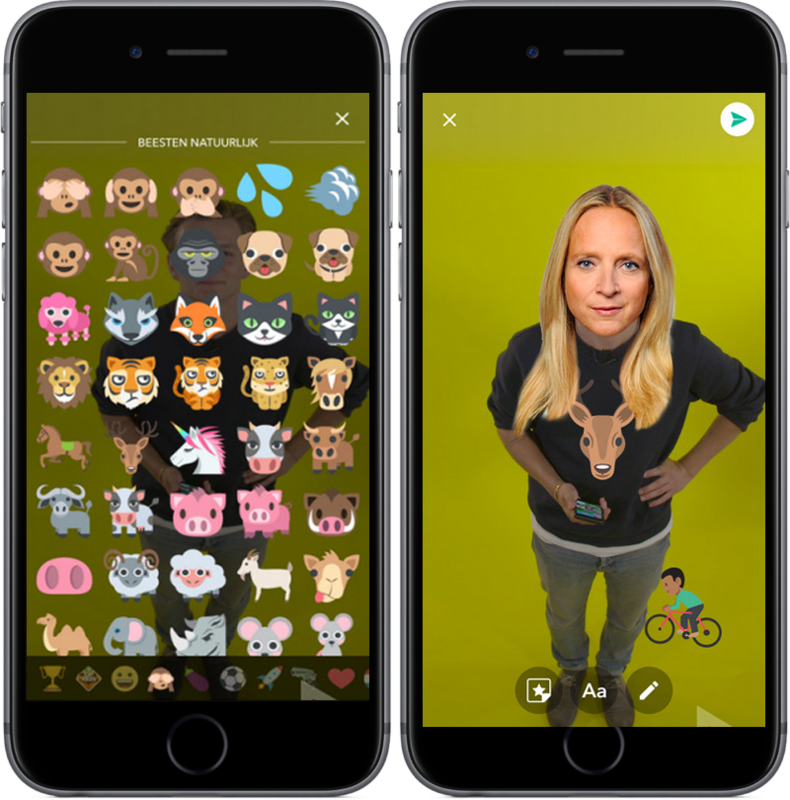 Zender offers publishers and broadcasters an easy way to publish interactive video stories to their own mobile touchpoint or to social story platforms (Instagram, Snapchat). Zender aims to increase the engagement with fans, offering them exclusive previews, live Q&A sessions and rich photo discussions. BNNVARA, a dutch TV channel aimed at millennials, wanted to counter the decline in linear TV viewership. The youth channel publishes great original content like #boos and Drugslab on Youtube and engage with their loyal fans on Facebook and Instagram. They are also big fans of Snapchat Discover, a truly innovative format for storytelling and the best experience to watch video on phones. But the Discover platform is expensive, closed and gated by Snapchat. With Zender, BNNVARA can have a direct one-on-one relationship with their fans. The editorial team publishes daily interactive stories, series, mini-games and challenges. All that content is produced for mobile first: vertical video's for portrait orientations with great (interactive) animations. Viewers can subscribe to their favourite shows and series and comment with photo's mixed with text, silly stickers and doodles. Because text comments are so 2005. Through easy moderation tools, the editorial team can recycle comments in new stories or put them on-air (old-school!). Tien lange dagen kon je op de Gentse Feesten naar datakamp, een prettig gestoord parallel universum, georganiseerd door vzw Cirq. Om datakamp te betreden moest een bezoeker kiezen: ben ik premium of free? Free members werden het op datakamp knap lastig gemaakt. Terwijl ze vervelende analoge pop-ups wegklikten, sprokkelden premium members punten om te promoveren tot VIP member, inclusief vierlagig toiletpapier. Ruim 85% van de bezoekers koos voor het bevoorrechte premium membership, daarvoor moesten ze énkel hun RFID-bandje koppelen aan hun Facebook profiel. Samen met vzw Cirq en een grote groep enthousiastelingen bouwden we een check-in game platform met real-time visualisaties: bij iedere toilet check-in vloog een 💩-emoji over het grote LED scherm, in overlay met de live feed. Leuker dan Facebook Live! Tijdens de dagelijkse apotheose van VJ Lamoot mixten bezoekers live mee met vliegende animated gifs, aangepast aan het liedje op dat moment. Het was ook voor ons de eerste maal dat we een vliegende Samson hond emoji zagen. En ook de andere emoji's waren speciaal. Maar wat écht ontplofte op datakamp was de dagelijkse poll om een kuikentje, al dan niet, in een blender te mixen. Het was aan de "anonieme" gebruiker die het kuikentje in de blender wilde draaien om op de knop te drukken. Bezoekers konden meermaals stemmen: fysiek via een RFID-paal of met een eenvoudige web-app. Géén kuikentjes werden gedood. Noch met de app, noch met de blender. Met experiment voor Datakamp wilde Small Town Heroes vooral toetsen hoe ons Zender platform snel en makkelijk kan ingezet worden voor festivals en evenementen, inclusief integraties met een externe profiel database en een RFID-check-in systeem. En we waren uiteraard ook benieuwd naar de bereidwilligheid van bezoekers om mee te spelen met hun smartphones of RFID-bracelet tijdens een sociaal evenement zoals de Gentse Feesten. Niet zo verrassend: een relevante Call-to-action (kuiken of blender) blijft het belangrijkste voorwaarde voor een succesvolle interactie. Na het politieverbod om kuikens in een blender te mixen werd overgegaan naar een nieuwe poll. Het DIY game-platform van datakamp was een samenwerking van tientallen gepassioneerde coders, testers en dromers: kudos Xavier, Patrick en de Cirq posse, project bezieler Michel, backend wiz kid Jan Willem, frontend worstelaar Thijs, Kasper en Wouter voor alle RFID magic, VJ's voor 10 dagen Jannes en Thomas, Hans, Thomas, Jens en duust andere mensen. Het was machtig. Talk our colleague Patrick Debois gave at Velocityconf 2015. It touches a few of the same things we talked about in From Idea to App (or “How we roll at Small Town Heroes”) in a deeper way, along with a truckload of more information on how we do things at Small Town Heroes. This presentation guides you through the toolspace and allows you to think similar for both mobile development and operations with a devops mindset. Earlier this week we were invited to give a lecture to the students ICT at Odisee, explaining the app development process, how we do certain things at Small Town Heroes, and how we implement QA throughout our process. You can check out the slides embedded below. 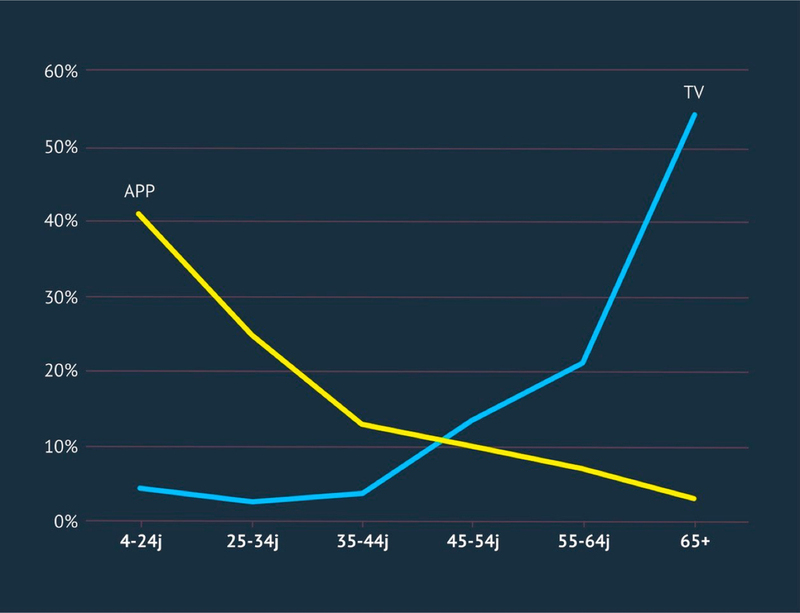 About 60% of Millennials (18-35) in the USA did not watch linear TV last month. With the Blokken Quiz App (iOS and Android app), public broadcaster één wanted the popular, 20-year old daily TV quiz show to resonate again with those millennials. As the average age of the Blokken viewer has risen to 41 and viewer numbers plummeted below 30, the idea was to make Blokken the most popular Quiz app in Flanders. The app is a mix of Quiz-up (simply the best international quiz app) and Letterpress (a fun word puzzle game); it has 3 different game modes with a similar gameplay: 8 questions from the Blokken question archive; every correct answer unlocks a letter and finally an 8-letter word has to be guessed with the help of the unlocked letters. One game mode has questions of tomorrow's show, another is a real-time battle against a friend and a third mode is free play. After 150.000 downloads since February 2015, the app is a popular pass-along quiz snack amongst many Blokken viewers and people who have long stopped watching the show on TV. The average age of the app is 19, a normal day still sees over 10.000 users. To get in the alltime high-scores, one has to play over 40.000 games to catch up with the top-10. Over 80 million games are already played and over 4 million hours have been spent in the new Blokken world. The app concept was created with an important restriction: we couldn't use the TV program's use of the Tetris game in the app. We created a game that resembles the game-play in the TV-show but is not exactly the same either. Great attention was paid to the user experience. We needed to appeal to millineals but the same time not try to alienate the existing, older TV audience. The designs are thus spark and minimal and focus on the task at hand: winning a battle from a friend with readable questions, speedy feedback and clear visualisation of scores and progress. Every game is programmed to last less than three minutes, thus making it an ideal snack moment when waiting for buses, (late) trains and - well - other things people do when they need to be entertained. The most fun and challenging game mode is the real-time battle. Two players can compete against each other live or - when the opponent is away from mobile - in delayed mode. The technical challenges to make this real-time user experience smooth and user friendly and scalable enough to handle peak traffic and robust, were big. The Blokken app has surpassed our expectations and those of our client. We will keep pushing new versions and add a whole set of new features end of 2015, with interesting possibilities for brands and advertisers. Stay tuned.